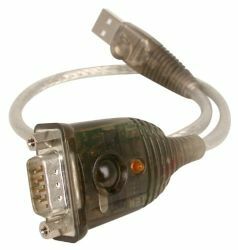 Communication between a computer and most Ranger or Power Master Data Loggers is over an RS232 link. 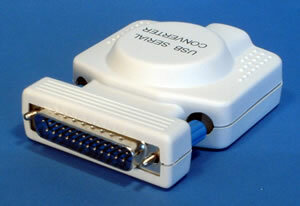 However most modern computers do not provide an RS232 port, providing multiple USB ports instead. 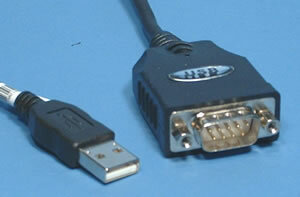 A USB to serial converter can be used to allow communication. This application note details those serial to USB converters that have been tested and found to work with Ranger Data Loggers. See more details of Pronto, our Power Quality Monitoring Software. The System must be running Windows 10/7/Vista/XP. Older Windows 2000 or the 9x series may work but are no longer supported. Pronto for Windows must be release 5.20 or later. Selecting a USB to Serial converter. There are many manufacturers of USB to Serial converters, however there are only a couple of different integrated circuits ( ICs ) available for all these manufacturers. To date only three different ICs have been found in all converters tested, these are listed below. FT232 Driver revision XP: 2.2.4.0 (June 2007). Correct operation with Ranger 2 and its derivatives on Windows 2000/XP. Previous Driver revision 1.00.2176.0 (Dec 2005) and Driver revision 1.00.2134 (July 2003). Causes Pronto to hang intermittently on windows XP, but appears to work correctly if unplugged from USB cable between download of each Logger. Driver revision XP: 2.7.0.0 (July 2003). Driver revision 9x: 1.5.0.0 (May 2002). Correct operation with Ranger 2 and its derivatives on Windows 2000/XP and Windows 9x/ME. Interface chip: Magic Component Technology Corp. Results: runs for a few minutes then stops responding. It is recommended that you use an converter that uses either the FTDI or Prolific USB to serial converter IC. Ensure that you are using the most up to date drivers. The FTDI drivers are available here. The Prolific drivers are available here. We have found that converter vendors web sites and the CD ROM’s shipped with the converter are not always up to date. Some recommended USB to Serial converters. All the converters below are known to use the Prolific IC and work correctly with Pronto and Ranger Loggers. 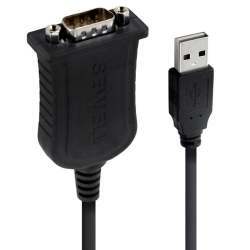 Sewell branded Serial to USB converter. Known Issues with USB to Serial Converters. 1) Unreliable communications after COM port number changed using in Windows Device Manager. If the Port number is changed manually in the Windows Device Manger to (for example) COM1 from COM9, then communication can become unreliable. 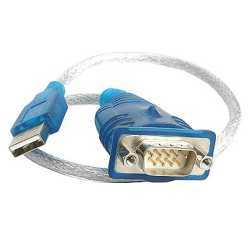 It is recommended that you avoid using the COM numbers COM1, COM2 or COM3 for a USB to Serial converter if changing the Port number manually. 2) Unreliable communication at 230400 baud. The Prolific USB to serial converter allows selection of 230400 baud, however some manufacturers devices distort the output data waveform and communication is unreliable. The solution is straight-forward: Select a baud rate of 115200 instead.